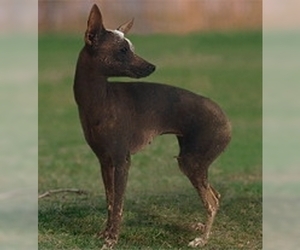 Overview: The Xoloitzcuintle was used by ancient Aztecs for a variety of purposes including bed warmer on cold nights, warmth for pain relief, food and sacrifices to their gods. The breed has been around since about the year 300 and is still a good companion. 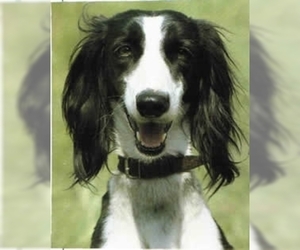 The breed comes in three sizes and two coat varieties (both born in the same litter), thus providing prospective owners with many choices. At 18” to 23” at the shoulder, the Standard is the largest size. That size makes for an impressive guardian of the home and family. 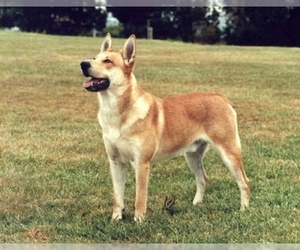 The Miniature is 14” to 18” – this size is often known as the “clowns” of the breed. As a family pet, they are an ideal size – large enough to play with the children, small enough to be picked up when convenient and fit comfortably on a sofa with the family. The Toy at 10” to 14” is the perfect size for apartment dwellers and those wanting a lapdog. People with allergies can often live comfortably with a Xolo – although each person is different and it must be considered on a case-by-case basis. Because of their keen intellect, ease of care, and eye-catching primitive appearance, the Xolo is gaining more popularity as a choice for a family pet in the United States. Character: The Xoloitzcuintle is calm, intelligent and adapts to a variety of living situations. Temperament: The Xoloitzcuintle is good with gentle children. They will get along with other dogs, if they are raised together. Care: The skin should be washed regularly with a gentle soap. Use lotion to prevent the skin from becoming dry. 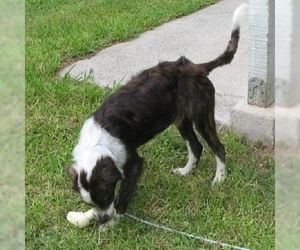 Sunscreen should be used if the dog will be out in the sun. 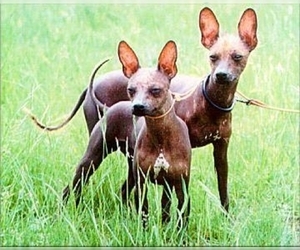 Training: The Xoloitzcuintle is fairly easy to train. Activity: The Xoloitzcuintle doesn't need too much exercise. They like taking walks, but are just as happy to play in the yard. Displaying 1-5 of 7 result(s). Colors: White, and, yellow, tan, red sable, orange, beige, desert sand, ginger red, never all white.